In spite of their compactness, the new TASKalfa 1801 / 2201 have the means to get you through a busy day. The b/w prints and copies they produce are of exceptional quality with an image resolution of 600 dpi and a greyscale of 256 shades. 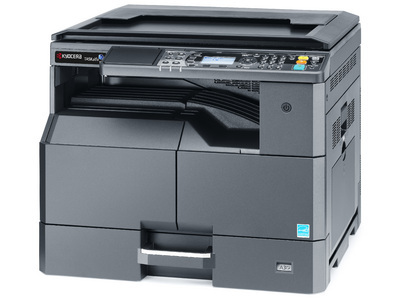 Their standard colour scan and the optional network print and fax functions provide you with the flexibility you need and can be accessed via the easy-to-use control panel. These devices are perfect for demanding offices with little space for their office equipment.